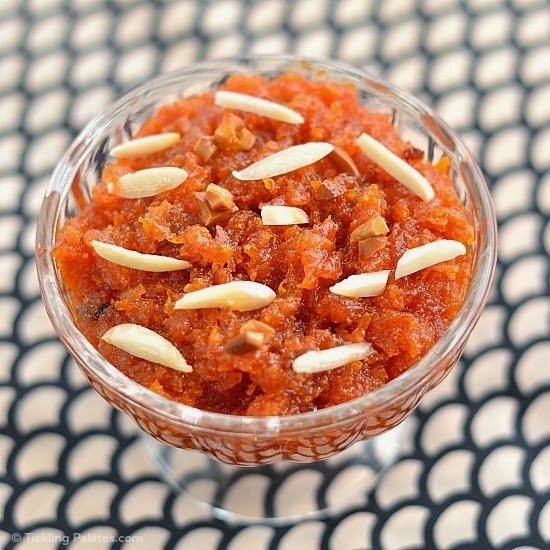 One of the most popular Indian dessert here's for you the 'Gajar ka Halwa' recipe. 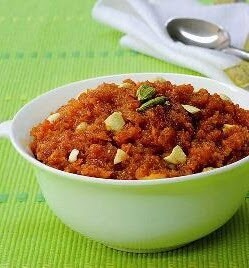 One cannot announce the arrival of winters without making this recipe. Grated carrots, milk, sugar, cashews, raisins, pistachios and nuts are stirred and cooked together. ★Melt ⅓ cup ghee in a 12" nonstick skillet over medium-high heat; stir in carrots. Add milk; boil. Reduce heat to medium; cook, stirring occasionally, until carrots are very tender and sauce is thickened, 30–35 minutes. Stir in sugar, cream, cardamom, and rose water; cook until sugar is dissolved and halwa is thick, about 25 minutes. ★Melt remaining ghee in an 8" skillet over medium-high heat; cook raisins, cashews, and almonds until raisins are plump and nuts are lightly toasted, 3–4 minutes. 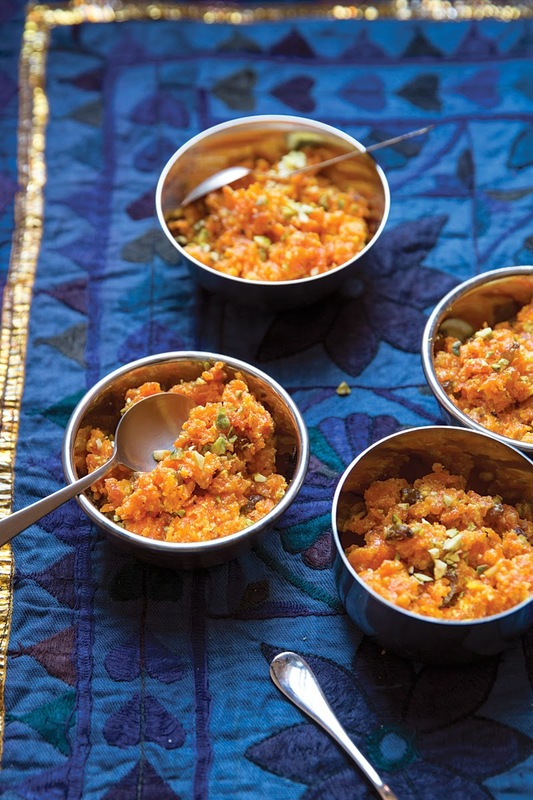 Stir mixture into halwa and garnish with pistachios; serve at room temperature.